All up FKA Nominees Limited has invested $706,740 into FileInvite FKA's PFC#14 on behalf of 44 individual investors. CEO James, now put it to good use! Well done so far, Garth, board work as Investor Rep comes next! Our joint press release has been picked up by NBR (Pᴀɪᴅ Cᴏɴᴛᴇɴᴛ) and BizEdge. The above image is from our corresponding LinkedIn post. The Hi-Tech Awards judges have drawn up a list of finalists from which the winners for each category will be selected. You can see the finalists for all categories ☞ here. Congratulations to CEO Ben and his team from Wherewolf, FKA's PFC#12 for making it to the next stage. Thanks also to FKAngels Charlie and Phil who are putting a lot of time and energy into this little lupo. Let's all give a warm welcome to Cornelius Boertjens. He has cleared the FKA Veto Gate without objections and in a way that only a Dutchman can. For full disclosure, we had one subtle question: "Could the notion of the Flying Dutchman be a bad omen for Flying Kiwis?" One of New Zealand’s most ardent angel investors, Debra Hall, was awarded the Angel Association of New Zealand’s (AANZ) prestigious Arch Angel Award at the 10th Anniversary NZ Angel Summit on Waiheke Island in 2017. Now in 2018, she has already spoken with Tim W, Jai and Rudi. Neither of them could find fault with her, except they did find her very outspoken and forthright. She likes FKA's active involvement with founders and has already attended a couple of ADI.Clinic sessions. If any of you know of any reasons why Debra should not join our group then now is the time to speak OUT. Please raise your concerns in confidence by email with the FKA board. An Easter blog that we couldn't just resist to post. It is a hilarious video that shows Roger and Jessica Rabbit 30 years on. We need all LPs to vote over Easter to get formal support for the FKA board recommendation that was circulated on Thursday. At the time of publishing, we have 15 votes in, all in favour. That makes 17 laggards! We used the above image to round up extra numbers for our Thursday sessions. We got a good reaction on LinkedIn and more founders came. Two co-founders called into ADI.Clinc a couple of months back.They had good traction but were considering pivoting into a different vertical due to limited TAM. We connected them with two experts in the new field and Hengjie from Kami PFC#02 who kindly coached them for a Y Combinator interview. They have since successfully pivoted and this email following our Wednesday session in Takapuna says it all. "I just wanted to say thanks for your time and advice yesterday, I really appreciate you taking the time. We are both keen to move forward with the FKA, so we are keen to begin finding a champion. Let me know what you think a good next step is for us?" The Right Honourable, the Lord Mayor of Brisbane, the Councillor Graham Quirk is visiting GridAKL, for half a day on the morning of Friday, 13th April. He is on a mission, a Trade Mission. Read more here and here. FKA's Chief Cat Herder will attend in full regalia and is hoping some other FKAngels will join him in this. However, it looks like John Mactaggart, the leader of Brisbane Angels is slacking, not having dispatched any of his angels with this delegation. The Treasury is advertising to refresh the NZVIF board. Experience as an angel investor is very welcome but the overall bar is high. Anybody from among FKAngels? Beyond ⇰ 20 Mar, FKA Pitch Night #038, Spoke confirmed so far. Diverse groups produce better outcomes, make better investments! Greg has served as our independent director on the FKA board since the first hour. His reason and humour have been invaluable in helping FKA find its form. "Jobby done, time to move on!" he says, but not without making sure his wife Jackie (truly) Young is investing as an FKAngel. Little known fact: Greg and Rudi were co-investors in a toilet business and the above footage was taken from their rigorous product testing series. 2018 Launch of Velocity, the business competition has produced many interesting startups including our portfolio companies StretchSense and Kami. Soul Machines is pretty exciting stuff, see the video. It would be good to see some FKAngles join the ranks of judges and mentors in this year's competition. RSVP for the launch! Check out the roadshow dates here, 22 March in Auckland. Microsoft has revamped its startup program. The BizSpark program with its traditional focus on Azure credits is making room for Microsoft for Startups with reduced credits and more emphasis on co-selling. Co-selling means leveraging the MS distribution network and market reach to help startups sell. James from FileInvite is already talking to Lochana @ MS. Worth checking out if this could help any of the startups you're working with. The legal docs are ready for signing. The last of the money is rolling in. James the founder and CEO has known for a long time exactly what he wants and we have even found a video to prove it. Little does he know. FKAngels Garth and Phil deserve a big thank you for a sterling job they have done as co-champions. But work doesn't stop here for Garth as he will also step on the board of FileInvite. Interesting week. 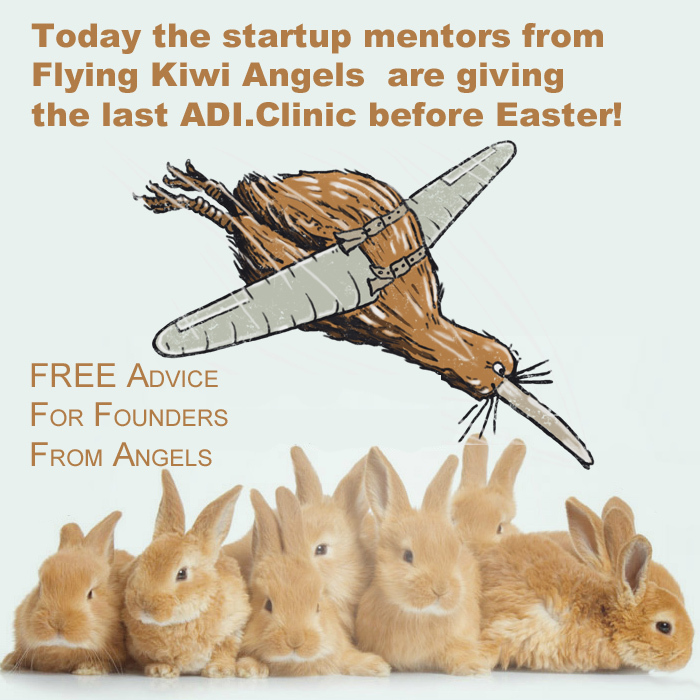 Three startups on Wednesday in Takapuna. Thursday morning it looked like Takapuna would beat Auckland which had only one booking at that time. However, by lunchtime Auckland was also at three bookings: i) becsbartells ii) EvNex iii) ASB venture candidate. If you have a deck with a view then share it. So does Andrew Moorby! EY is expecting 150 clients for casual networking drinks. FKAngels are very welcome and should RSVP to Andrew. After all those tears about Sarah going to the UK and a false Hollywood alarm re Money Masha, now some more positive news. 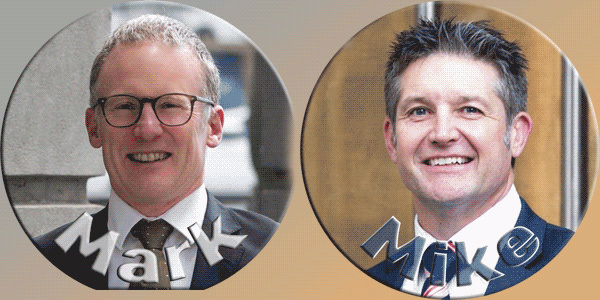 Mark Hopkinson and Mike Roberton are stepping in to HELP FKA and they will continue to work together with Ah Song and Masha. Chief Cat Herder Rudi caught up with the Darby brothers Zak and Tom from DCP. They have strong US connections and complement Chintaka's Asia focus with GD1 Fᴜɴᴅ ɪɪ. Their investment philosophy aligns well with FKA. They are effectively an Australasian outpost of Kayne Anderson which brings US money, know-how and connections. They are filling the all-important gap of follow-on money for angel-backed companies and have offered to help with US intelligence in our DD. GREAT STUFF! AANZ has awarded three scholarships totalling $5,000 to help Heath, Phil and Tim with the expenses of their upcoming trip to the ACA Summit in Boston. Thank you, Suse and the rest of the AANZ crew, and we wish our three FKAngels a great trip and safe flight. You'll have to tell us all about it! Ever wondered why you cannot use electronic devices during take-off and landing? This video gives the answer!